Taking myself on a much-needed art adventure I decided to drive to Saskatoon from Edmonton to take in the Sounds Like festival of audio art. Experimental music and sound art is my main obsession these days. 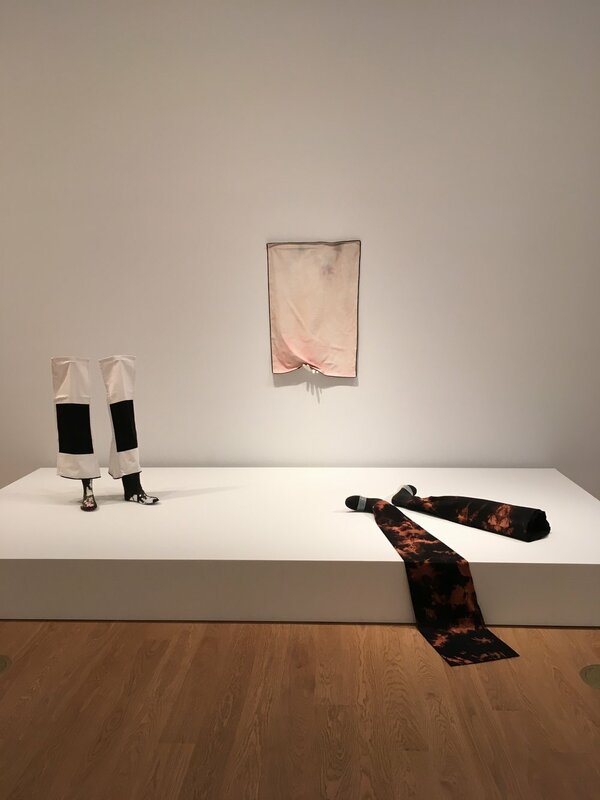 However, since I had plans to spend a full day exploring the new Remai Modern art gallery and visiting the Ukrainian Museum of Canada, I had set myself a mission to make note of Craft as I found it. Not surprising to me, Craft was literally everywhere! Starting my art gallery day, I began my journey at the Ukrainian Museum of Canada where they have a collection of items brought to Canada from Ukrainians during the first wave of immigration in the late 1800’s. My morning was spent marvelling over the many samples of embroidery and weaving. 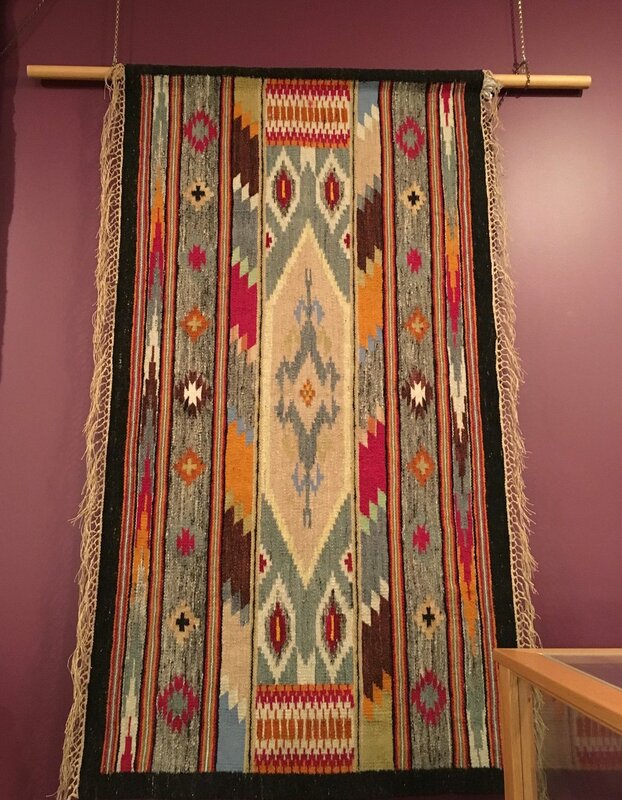 The woven rugs were of particular interest to me because I was not familiar with these designs in Ukrainian rug weaving. I am more familiar with the utilitarian rag rugs, but these were stunning! Folks visiting the gallery before February first can also catch a solo exhibit of work by contemporary embroiderer Monika Kinner-Whalen. More on her incredible work here. 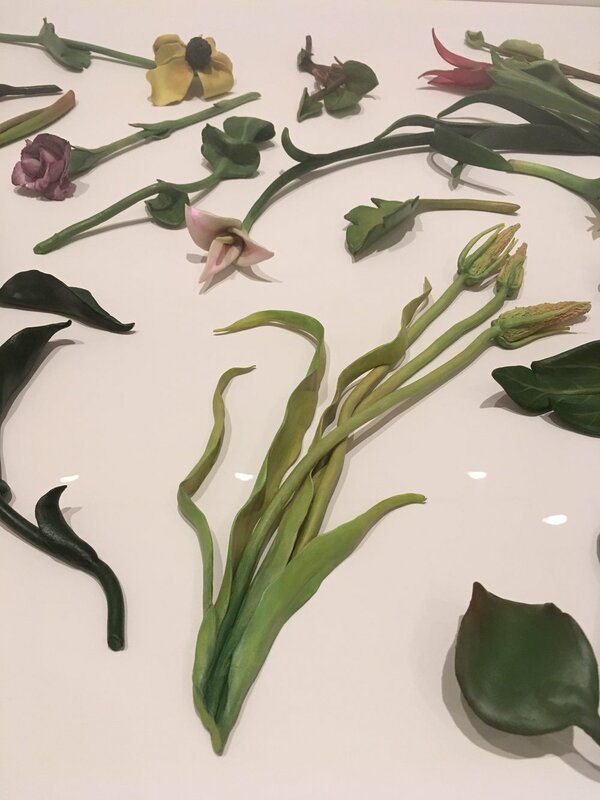 On the third floor, I discovered an artist named Zachari Logan using clay to sculpt depictions of picked flowers displayed under glass representing the suspension of a moment between life and decay. Another discovery of craft found in an incredible room filled with the work of Elaine Cameron-Weir’s who is using themes of corsetry and garment making in her sculptural work. My final craft happening during the weekend landed on the last day that I was in town for the Sounds Like festival. In a wonderful craft moment, I was given a gift by one of my musician friends, Jeff Morton who played at the festival this year. 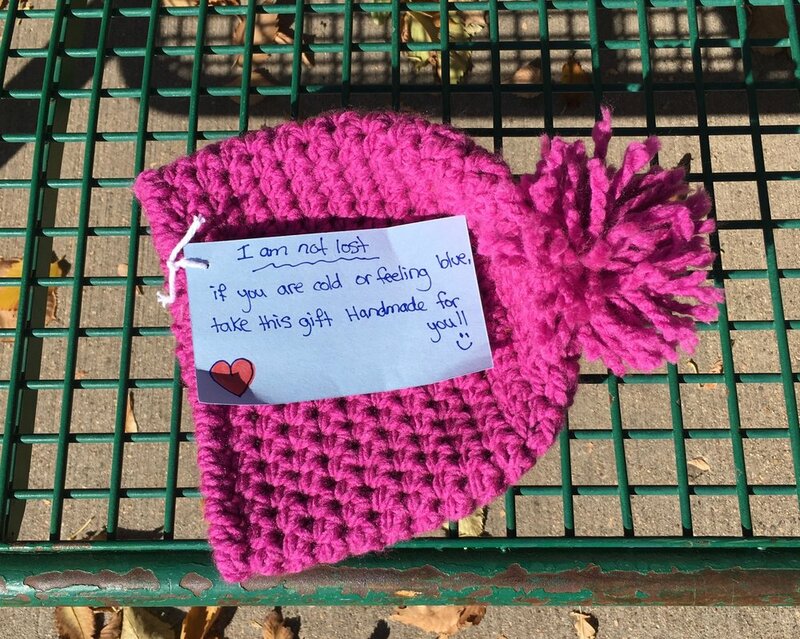 He had also stumbled across one of the knitted hats in his urban exploration and took one to bring to me as a gift! Craft is community!